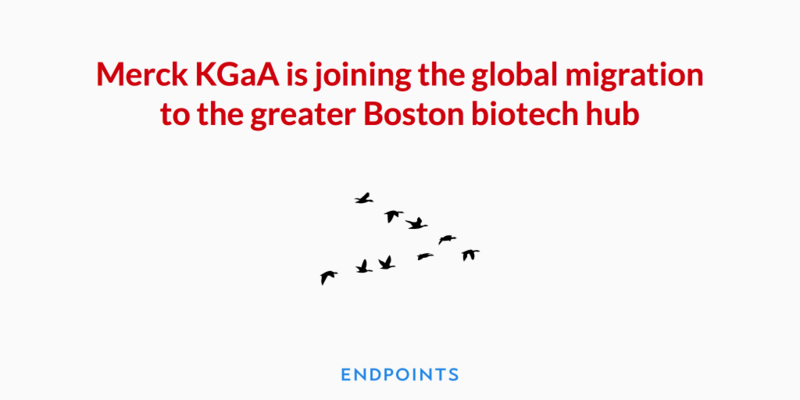 Merck KGaA is joining the global migration to the greater Boston biotech hub. The German biopharma is building a new life sciences campus in Burlington, styling the 280,000-square-foot facility as a “customer collaboration laboratory and training center.” And it’s one of 9 collaboration complexes planned for Brazil, China, France, India, Singapore and South Korea. The company is spending $115 million on the project, with room left for a 70,000-square-foot addition, if it needs it. Merck’s subsidiary, MilliporeSigma, will relocate its 850 full-time Billerica-based employees when construction is complete in the second half of 2017. Like a long list of biopharma companies, Merck KGaA already has a significant R&D presence in the greater Cambridge/Boston area. And like others, it’s moving more of its R&D work into an area that has a rep as one of the world’s most important biotech hubs, with MIT and Harvard and other academic institutions acting as a brainstorming arm for new drug development. That profile has persuaded Pfizer, Merck, Bristol-Myers, Shire and many others to concentrate in the area, as a torrent of investor cash backs a wave of local biotech startups. And more are likely to jump in in coming years. Merck KGaA has had to survive a tumultuous decade, marked by a series of setbacks in the clinic. Four years ago it opted to close its Geneva operations, 5 years after it got the campus in its $13 billion Serono buyout. That major shakeup cost hundreds of jobs, with hundreds more shifted to its headquarters in Darmstadt. And throughout, Merck KGaA has yet to develop a single major new drug. On the other hand, Pfizer paid a record $850 million up front to partner on a checkpoint inhibitor, which may rank as the fifth entry in that field.